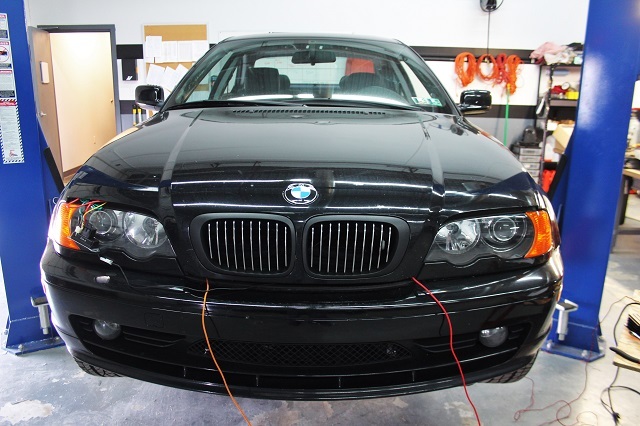 Interested in picking up this awesome E46 fan setup? Check out our discounted pre-sale linked below! In a short timespan we were able to turn our 3D models into an actual functional prototype. 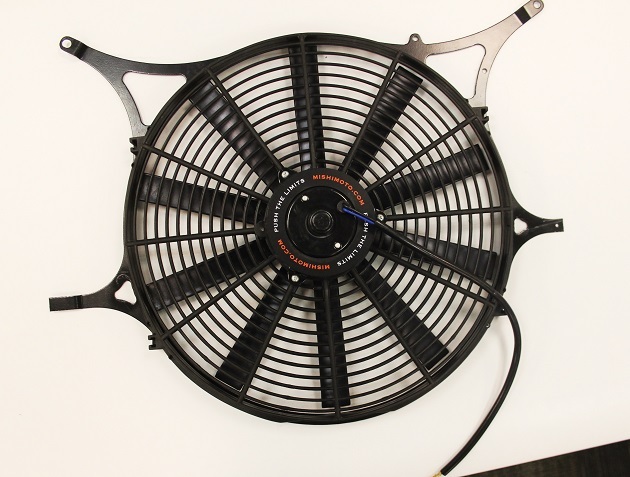 Check out a couple images of our first BMW E46 fan shroud! As previously noted, we are using our 16” electric slim fan with this kit. 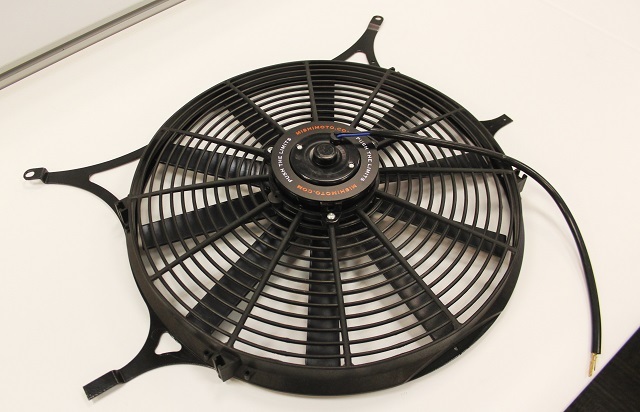 This fan produces 1,850 CFM of air and has been used successfully in both our E46 M3 and E36 electric fan kits. 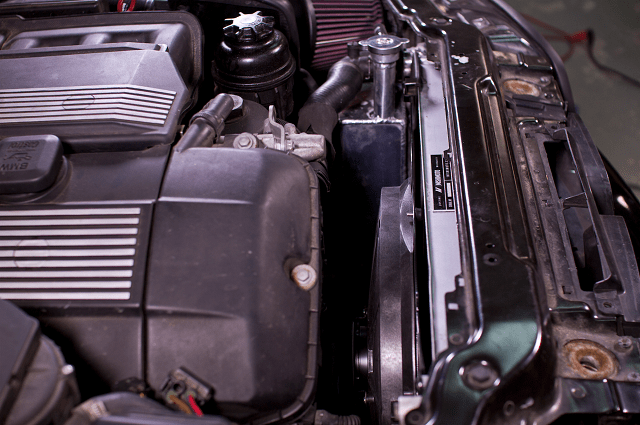 The at-speed benefits of this shroud are undeniable, but we still need to conduct idle testing to ensure that our electric fan is up to the task of cooling the E46. 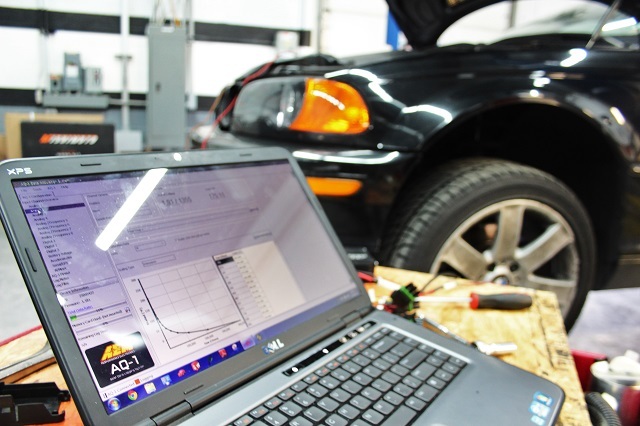 To do so, we set up a long-duration idle test to evaluate the performance of our electric fan against the stock unit. By placing sensors both before and after the radiator, we can evaluate the cooling efficiency of each setup with regard to temperature drop as the fan pulls air through the radiator core. 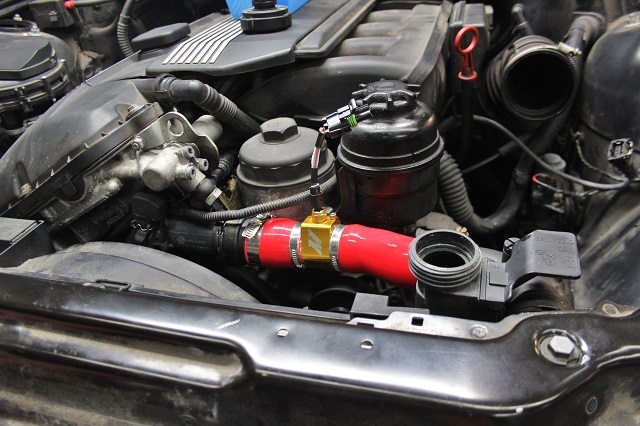 Below is our in-line sensor installed within the upper radiator hose. We then set up our AEM AQ-1 data logging equipment and started running each test. We ran the stock test in the morning and swapped out the Mishimoto system for an afternoon test. This allowed the vehicle to cool adequately between tests. With both tests complete, we gathered our data and put together a few easy-to-read plots. 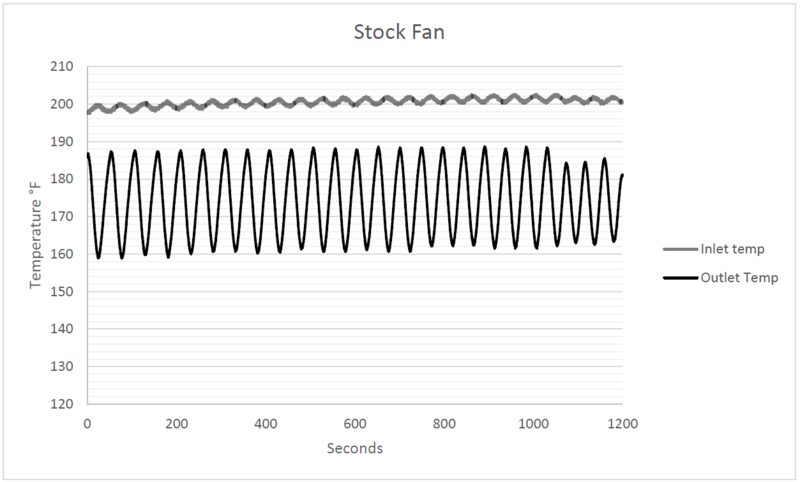 First, a look at the performance of the stock electric fan. Here is a basic breakdown of the data. So let’s analyze this data. Stating that one setup is better than the other is not straightforward, because both fan setups perform well but function differently. The primary difference is the fan turn-off temperature of each, which is directly related to the inlet temperature drop. For the stock fan controller, the fan activates and will run until inlet temperatures drop by 2°F. 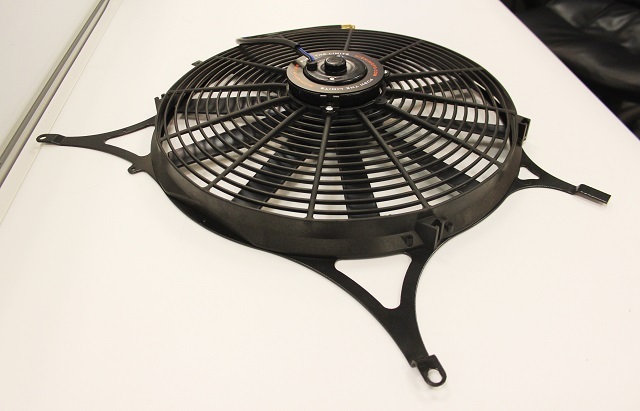 This means that the fan is continuously cycling off and on at idle and run time is short, around 50 seconds during the time needed to reduce inlet temperatures by 2°F. 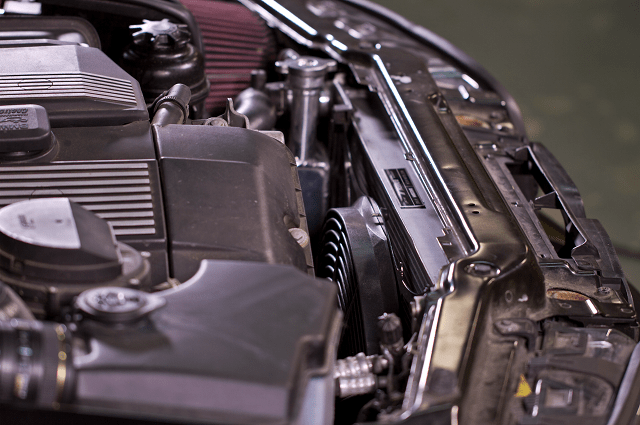 The Mishimoto setup takes a different approach, due to the function of our fan controller. Our controller is designed to turn off after reducing temperatures by 10°F, which it does perfectly. The fan cycles less frequently, but it also runs for a longer time during each cycle. The total cycle time is around 3 minutes, during which it drops inlet temperatures by 10°F and outlet temperatures by 58°F. 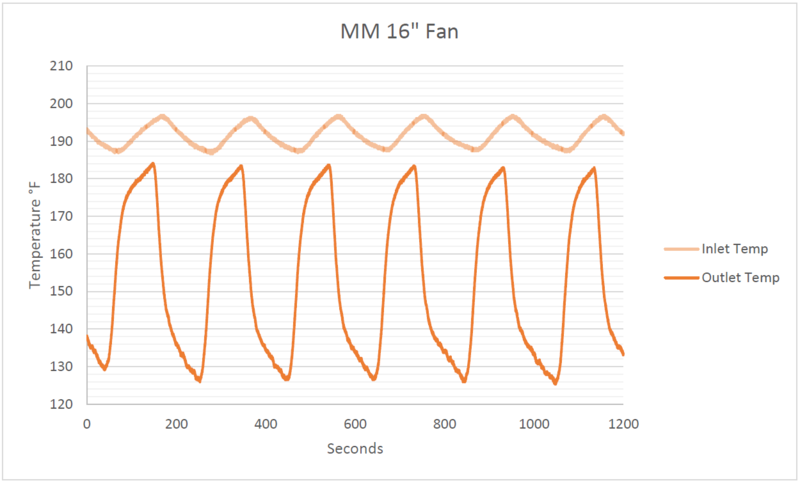 In addition, outlet temperatures on average are far cooler due to the longer run time of the fan. Both of these setups have proven to efficiently cool the inline 6, which is what we wanted to show with this data. 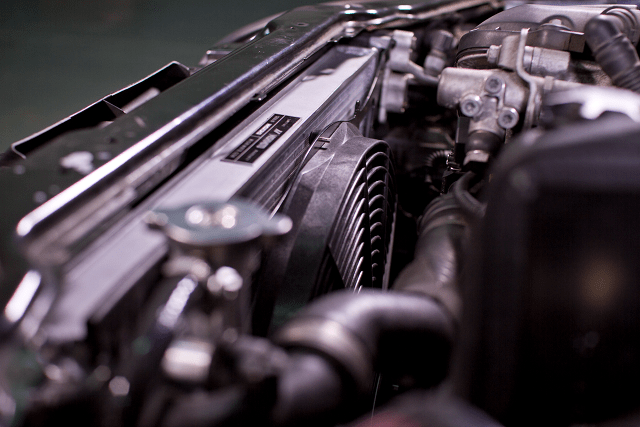 The true benefits with our system in terms of cooling are evident when the radiator is seeing at-speed airflow. Interesting data and test! The results provided the necessary information to give this kit a go-ahead for production. The other reason we bolted our setup into place was to verify fitment. If you recall from our last post, this mount was designed using dimensions pulled from the stock radiator and our aluminum counterpart. We needed to check each mounting point and ensure that fitment was flawless. Check out a couple of installed shots! As expected, everything bolted into place perfectly with our aluminum radiator as well! This fan setup will function with both the stock radiator and our larger aluminum piece. As with our Performance Aluminum Radiator and Silicone Radiator Hose Kit, we will be launching a discounted pre-sale for this awesome electric fan kit. Details regarding pricing and shipping information will be up soon! When do you anticipate having the presale and when do you anticipate shipping? Thanks for the interest! Our pre-sale will launch late next week and will include discounted rates for the kit in all forms. We expect our first batch of orders to ship out right around the end of December. Hey recently purchased this alluminum fan shroud for a 2005 BMW e46.I was wondering how to wire it up to the stock fan plug. I have an automatic so I already did the fan delete and mounted the new mishimoto electric fan just stuck on how to wire it. Thanks in advance for your help.